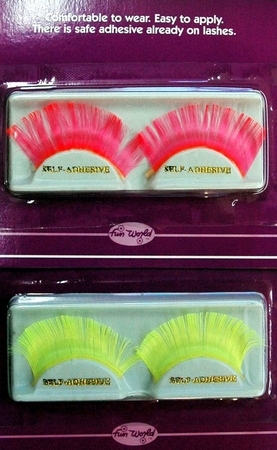 Available Sizes/Colors: Color "Neon Yellow"
Make your eyes stand out with these vivid color false eyelashes. Neon Yellow or Neon Pink. Great for an 80's costume or rave! Pair with a colorful wig to double the impact! Lashes are self-adhesive, but you may want to use eyelash glue for longer wear. 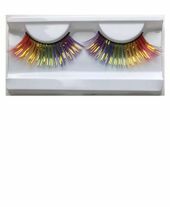 See more eyelashes in our Eyelashes section!